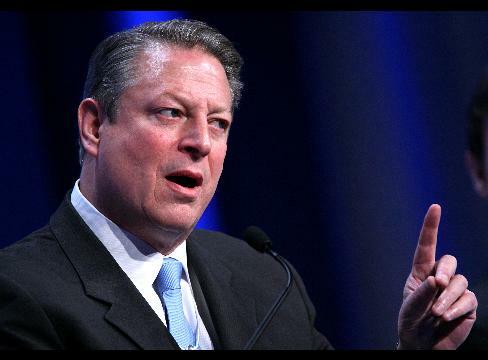 After inventing the Internet, Al Gore hoped to re-invent TV when he helped found the Current TV network. Now the struggling network is admitting that it is looking to put itself up for sale. Current TV is now in the process of interviewing investment banks so a formal sales pitch has yet to be developed. Launching in 2005 with youth-oriented programming Current TV is now a sort of pale shadow of MSNBC with lefty hosts such as Joy Behar and disgraced former New York politician Elliot Spitzer. The network hired but ended up firing the volatile Keith Olbermann in 2011. The Post reports that SNL Kagan estimates that Current makes 12 cents a subscriber from pay-TV and brought in $82 million last year. Ad revenue is estimated at a mere $16.9 million annually. How these low numbers match up to operating costs is unknown. The network appears in about 60 million homes.